Project: Residential building in Chandigarh. Timeline: 1 Month from Purchase Order. 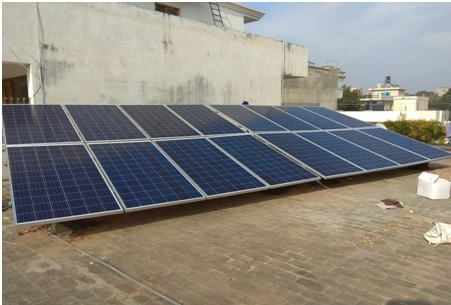 Execution: The solar system had to be installed on RCC roofs and the client specifically requested us not to drill any holes on the roof to prevent the possibility of leakages during the later course of time. Reduction in the bill: The power generated through solar system suffice the energy needs of the family, hence less dependency & stress on the DISCOM, in turn helping the state reduce its load on the distribution system.Net Metering is used.